The most famous kind of tea in Japan isn’t leafy. It’s the powdered green tea known as Matcha. A good cup of Matcha has a lot of health benefits and is basically a ritual in itself. For over four hundred years Japanese people have been taking part in the tea ceremony called the chanoyu. This ceremony uses Matcha. Matcha tea has a rather unique texture and a fresh and sweet aroma, mixed with an astringent taste. Matcha tea is now enjoyed worldwide by tea lovers everywhere who drink it as a tea or mix it with other things to create unique smoothies and desserts. Growing Matcha is a longer process than growing any other kind of tea. Matcha tea bushes need to be kept in the shade for a while as they grow. This shade growing period alters the make-up of the tea leaves and gives it a richer taste, and gives you a tea swimming in antioxidants and amino acids. Extra attention also goes in to the processing of Matcha leaves. Matcha is actually produced in specialised factories that turn the tea leaves into a smooth powdered tea. The stems and veins are removed from the leaves in the tea factory. What is left is then sent in to a mill that grinds the tea. Grinding the tea is a slow and precise process and it can take up to an hour to produce even just half an ounce of Matcha tea powder. 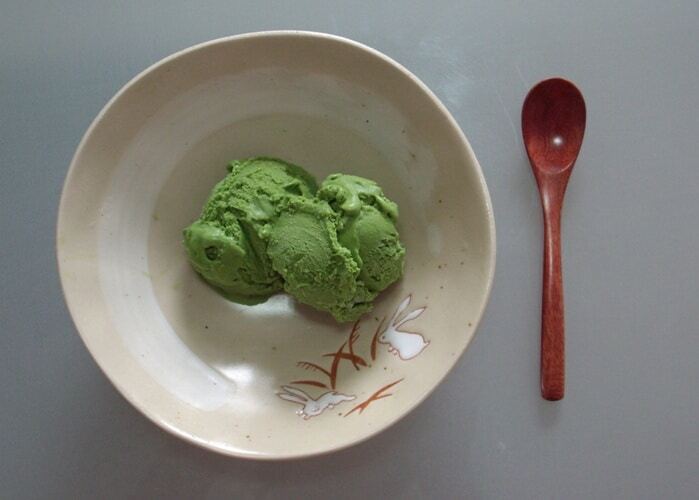 These processes do mean that Matcha has the most nutrients per cup than any other green tea. Or tea in general. The going estimate is that in a leaf tea you only get about 30-40 of the beneficial nutrients, such as vitamins and beta-carotene. On the other hand Matcha tea has almost 100% of the nutrients even after processing. The result is that you get a green powder that doesn’t dissolve in hot water like instant tea. What it actually does is create a layer of tea sediment at the bottom of the cup. When you shop for Matcha take a look at the ingredients. There are many kinds of green tea sold in a supermarket but most of them aren’t actually Matcha. Avoid any powdered tea that has sugar, milk products, or other stabilisers. Pure Japanese Matcha is made up of only, well, ground tea leaves. Nothing more or less. Matcha should also be bought the same year that it was produced, so look for the expiration date. While real Matcha is a bit costly the benefits it give you make it worth the cost. So you’ve got your Matcha and want to know how to make it? Just whisk the powder with some hot water using either a tea whisk or a milk frother and you get the tea you want. 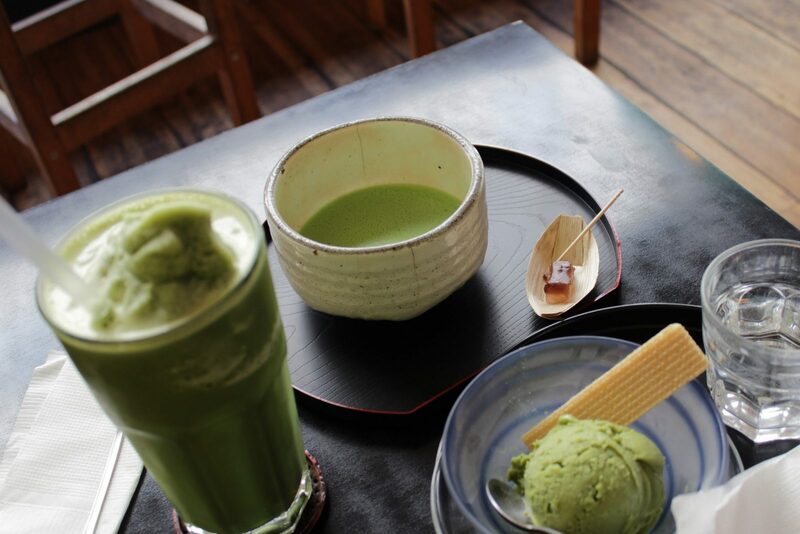 You can slip Matcha in to a number of recipes including, but not limited to, smoothies, cocktails, cookies, custard ice cream and cakes. It’s pretty easy to make a smoothie with Matcha. Just mix some Matcha in to a cup with plain yogurt. Then add some fruit and or fruit juice, sweetener, and ice cubes if you like. The following fruit combinations are perfect for Matcha; mango and apricot, apple and raspberry, and banana and pineapple. Here are a few more ways you can mix Matcha in with everyday foods. You can put some Matcha in to a strainer and then tap out some Matcha on to whipped cream that you have with pie or hot chocolate. You can also dust it on to fruit salad and yogurt. You can create a Matcha “mayo” for your sandwiches by mixing a teaspoon of Matcha with a quarter cup of mayonnaise. Blend everything until it’s smooth and add some extra flavor using lemon juice. Everyone knows you can add some flavor with sea salt. Add even more by mixing some Matcah in to the salt. That gives you not just flavor, but extra color!